Magnificent off plan luxury brand new 3 bedroom penthouse apartment due to be completed early 2019. 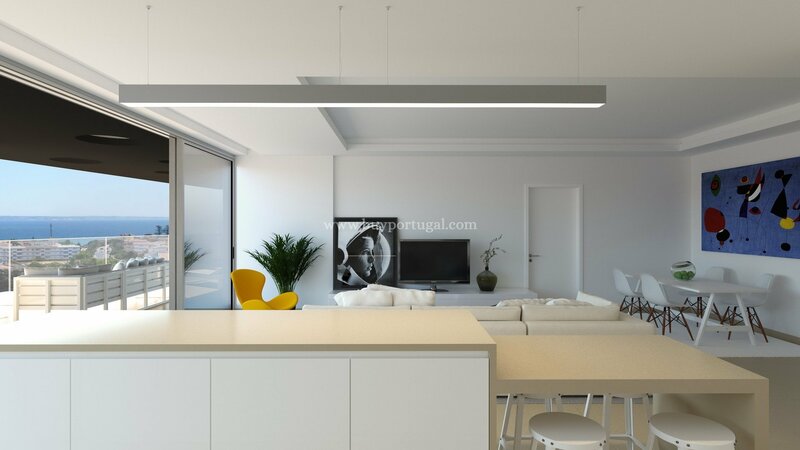 A good opportunity to buy a high spec apartment with fabulous sea views and which is being built by a top building company in Lagos, with stunning sea views over the bay of Lagos. On the roof top there will be a heated swimming pool and sun terrace with beautiful panoramic views. This property covers the whole of the 5th floor. The condominium will be walled and gated with an electronic entrance gate and surrounded by landscaped gardens. The building will consist of 5 floors with a lift and 12 apartments in each block. All apartments will have with fitted wardrobes, 5 bathrooms , open plan kitchen with fitted units, living room and 1 or 2 balconies. Other features include fully installed air conditioning, central vacuum system, pre installation of central heating, pre installation of central sound system, video entry system, safety deposit box in one of the bedrooms and double glazed windows. Each apartment will have an allocated parking space in the secure underground garage. Lagos is a historic and lively town that is situated on the beautiful western Algarve coastline. As a holiday destination Lagos offers visitors glorious beaches, buzzing nightlife and a charming historic centre, which has retained its character and charm. Within the Lagos region is an abundance of varied sights and activities, which makes the city a fantastic destination for tourists who want more than just great beaches for their holiday. Extending to the east of Lagos is the 4km long Meia Praia Beach, which is the longest sandy beach on the western side of the Algarve. The nearest international airport to Lagos is Faro Airport, 90km to the east which is less than an hour by car. The apartment will make a superb rental investment or holiday home.